Why an estate plan is more than just a will. A will is a good start, but there’s much more to estate planning that drafting and signing a will. A will won’t necessarily preserve your assets for your loved ones after you pass, nor will it protect your assets for you and your family during your lifetime. It’s really just one of the tools that an experienced estate planning attorney will use. There are several others. For example, there are various types of trusts that let you detail your wishes and preserve your assets for your spouse, children, and grandchildren. Certain other estate planning tools will allow you to protect your assets not only from your creditors, but also from the creditors of your children after you pass away. Think of it this way: a will is like just having a bicycle as your only means of transportation in a big city. You should explore other ways to navigate like a car, the city bus, and maybe the subway or a taxi. You shouldn’t depend only on your Schwinn or Huffy to pedal you around town. You have other options. Lesson Number One: having several documents isn’t the same as having an estate plan. A sound estate plan utilizes multiple instruments and documents tailored to your situation. They work together to give effect to your plan and protect your assets and your family. Is it true that I could lose my house to a nursing home? It certainly could happen without proper planning. Many people lose their homes to nursing care facilities, but there are ways to avoid this. There are numerous rules and exceptions that make it difficult to lose a house if your stay in a long-term care facility is intended to be temporary, have a living spouse, a child under the age of 21, or a child who is disabled. But the state may pursue a person’s assets after death to be reimbursed for the costs of your stay. When this happens, the decedent’s estate is depleted or exhausted, leaving little or nothing to the heirs. New Jersey has one of the country’s most stringent rules of estate recovery, using a broad definition of “estate.” This includes any asset of the deceased, like life insurance, pension benefits, retirement accounts, and jointly-owned real property. Lesson Number Two: don’t rely on changing rules – protect your home and other assets before something happens. Do I have to give assets away to have them protected? No, that’s not true. Not only can you retain the control of your assets and have them protected at the same time, but transferring your assets to your children or others may actually expose your assets to risk and subject them to the claims of their creditors. In addition, a transfer of assets may disqualify you and the recipient from certain government benefits. Lesson Number Three: create a sound estate plan that will allow you to preserve control over your assets and, rather than giving your assets to your loved ones, will protect those assets for them and insure that they receive them free of any claims by creditors. Your disabled beneficiaries should have a trust. It’s counterintuitive, but one of the worst things you can do for your special needs child or grandchild is to leave them money outright in a will or as a gift. Unfortunately, the way our government benefit programs work, receiving money or other substantial assets could immediately disqualify the child from the benefits he or she may be receiving. If you want to help your child, grandchild, or another loved one with special needs, create a supplemental income trust. This will allow the income from the trust to supplement any government benefits he or she might be receiving, rather than replacing it. Lesson Number Four: ask your estate planning attorney about a special needs trust for any heirs with disabilities. Do I only need an estate plan if I’m rich? That’s completely wrong and one of the biggest misconceptions about estate planning. You’ve worked all your life and own a home, retirement savings, investments, and other assets. You should plan ahead to leave your estate to your children and grandchildren for them to enjoy, instead of depleting all of your savings on medical bills and long-term care. Maintain control of what happens to you and your assets during your lifetime, as well as after you die. Lesson Number Five: every estate, whether it’s $40,000 or $4,000,000, can be protected for the benefit of family and loved ones with the help of a qualified estate planning attorney. Why you need to act today. Protect your assets before something happens, such as an unexpected job loss, serious illness, incapacitation, or death. 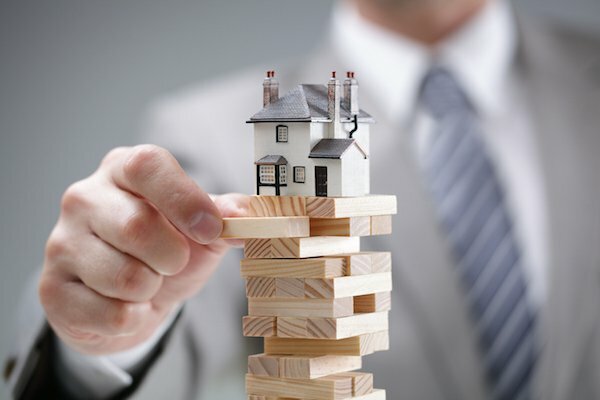 If something happens to you tomorrow, you may find yourself unable to control your assets and your estate may be lost. Take the steps necessary to protect your estate for your loved ones to ensure that they are cared for in the future if you are not here. Lesson Number Six: act now to protect your estate and your legacy. Attorney Advertising. The information provided in this post is for informational purposes only and should not be construed as a legal advice. It is not intended to create an attorney-client relationship with a reader and should not be relied upon without first seeking professional legal counsel. The choice of a lawyer is an important decision and should not be based solely upon advertisements.